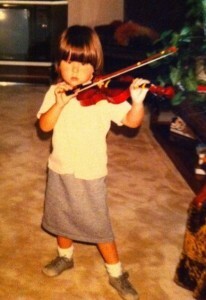 Tania Elizabeth’s sound on the fiddle is unmistakable no matter what genre she is playing. 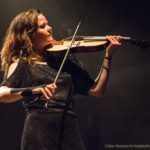 You hear the ghostly bowing, electric wails, the driving set of tunes and know that it comes from a woman deeply rooted in Traditional music who isn’t afraid to take it to the edge. 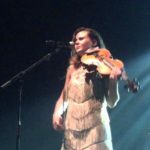 A co-founder of the Juno and Grammy-award winning band The Duhks, Tania has been a full-time touring musician since age 15 when she started her own record company, released two albums back-to-back and began touring internationally, all within two years. At age 18, she put solo work on the back burner, and for 8 years The Duhks toured relentlessly. When they decided to take a break, Tania switched gears, learning how to accompany singer-songwriter Mary Gauthier. 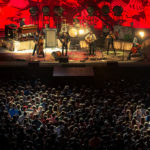 Playing as a duo for two and a half years challenged her to play and sing from a very different place, as did her duo with Andy Stack (The Stacks), preparing her well for the next phase in her life – touring with The Avett Brothers. 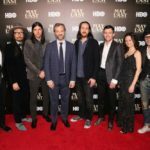 Five years into being a full-time touring member of The Avett Brothers, she is preparing to record once again on their new, as yet unnamed album. 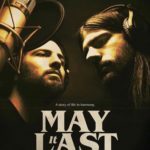 Those curious to see what life is like behind the scenes can check out the new documentary “May It Last” on HBO. Tania also loves to paint, read, garden, keep bees, practice Yoga, cook healthy food and spend time in the great outdoors.